Sorry, this job expired on Apr 4, 2018. Below are other jobs that may be of interest to you. Lidia's Pittsburgh is owned by James Beard Award winner, television host, author, and restaurateur, Chef Lidia Bastianich. We are currently seeking for experienced LINE COOKS to join our team. Well established Italian restaurant now hiring motivated individuals for appetizer, pasta and sauté stations. Must have the ability to work with speed and accuracy in a high-volume environment. 2 Years of experience as a Line Cook required, Italian Cuisine is plus. Cleanliness and attention to detail are also expected. Great opportunity to learn authentic Italian cooking. This is a full-time position and compensation is hourly, based on experience. We offer comprehensive benefits: medical, dental, vision, after 60 days of work and 401K after 1 year of work. Lidia's is an equal opportunity employer. 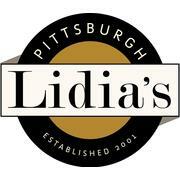 Lidia's Pittsburgh menu concept is a combination of the New York restaurants, Felidia and Becco. The menu features a daily pasta tasting, with homemade pastas that incorporate the seasons freshest ingredients in addition to hearty Italian favorites.